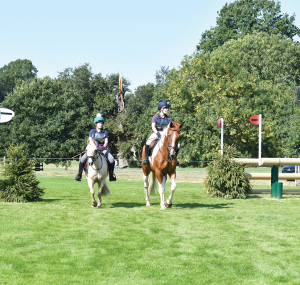 The SEIB Insurance Brokers Burghley Sponsored Ride will take place on the final day of the Land Rover Burghley Horse Trials on Sunday 8th September 2019. Entries for this popular event will open on Tuesday 19th March and will be taken on the ride website. This will be the 18th running of the ride which over the years has raised well in excess of £250,000 for good causes. Thanks to Land Rover Burghley Horse Trials, riders will be able to enjoy riding on the parkland turf of a large section of the world’s toughest 5* eventing cross country course and see the huge fences up close on horseback. The ride course takes in famous Burghley feature fences such as the Trout Hatchery, Cottesmore Leap and the Rolex Combination. These iconic fences were joined in 2018 with the (ongoing) additional treat of riding over and under the new Flyover. The SEIB Burghley Sponsored Ride is 12km long and takes in both these famous fences and many of the tracks and pathways of the vast Burghley estate. The ride is suitable for all ages and abilities and there are strict policies in place to ensure that riders travelling at a leisurely pace are not disturbed by those wishing to go a little faster. All riders are required to remain in walk and trot when on the cross-country course. The charitable action at Burghley on the 8thSeptember continues later in the afternoon, after the ride has finished, with the SEIB Horseless Burghley Fun Run. This 3.5km event is aimed at runners of all ages and abilities and takes place over some of the ride course. Details of the fun run and length of track are still being worked on and will be available on the ride website soon. SEIB Insurance Brokers are in their 5thyear of generously sponsoring the SEIB Burghley Sponsored Ride. SEIB’s contribution combined with the support of Stamford XT, Burghley Horse Trials and Burghley Estate ensures that all set up costs of the ride are covered and so 100% of the money raised goes directly to charity. The 2018 ride raised £22,500 for charity. The SEIB Burghley sponsored ride guarantees a great day out for groups such as riding clubs, livery yards and teams, familiesand friends. The ride is open to all riders over 5 years of age and with runners welcome too, the day is even more of a perfect family event. Everyone completing the course will receive a memento of the day and there are some wonderful prizes for the participants raising the most money for charity. 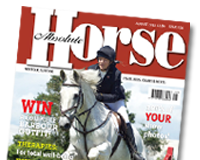 Entries will open for the 2019 SEIB Burghley Sponsored Ride on Tuesday 19th March at www.burghleysponsoredride.co.uk.